We are five undergraduate students from UPC (Polytechnic University of Catalonia), settled in Barcelona. Coming from diverse backgrounds, we are currently studying Engineering Physics, Aerospace Engineering, Telecommunications Engineering and Mathematics. We are five people passionate about what we study, maybe like you, who are taking the chance to gaze into the intriguing world around us. 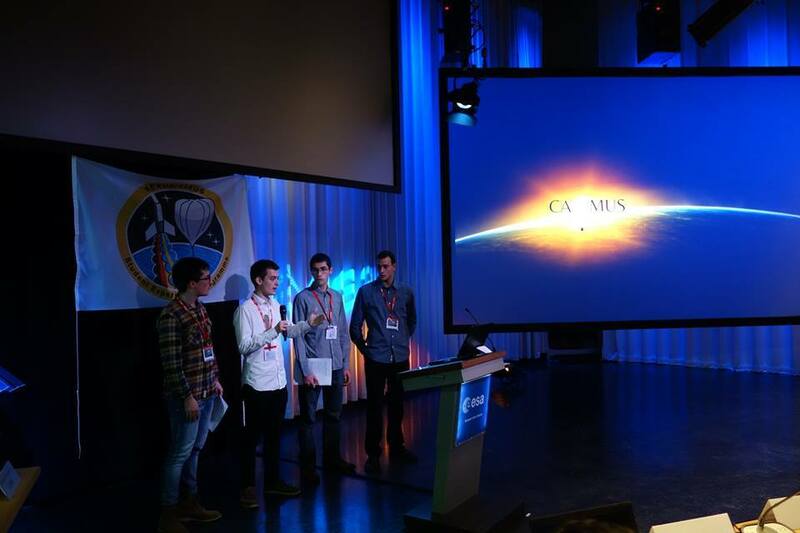 One of our team members happened upon the BEXUS Programme, which allows University students across Europe to carry out scientific experiments on stratospheric research balloons. With scientific motivations, we submitted to the programme with a muon detection experiment, that somehow aimed to reassure Relativity Theory predictions. And here we are, engaged in this thrilling adventure: CADMUS. If you wonder what really drew us here, you have come to the right place. We have been fascinated by Einstein’s Relativity for quite a long time. Therefore it is a truly great pleasure for us to carry out such an experiment, which will allow us to observe one of the most mindbending theories of all time be blatantly manifested in nature, and only involving quite simple calculations. However, CADMUS is not only scientifically-motivated. We have been enthralled by the engineering challenge the experiment poses. Our eagerness to learn about all the complex processes involved in this adventure was our driving force. As young engineers, we started feeling overwhelmed by the lage amount of work it represents. Nevertheless, we are ready to take up the challenge, and we could not be more sure that it will be an experience that will enchance our abilities in many different ways as engineers. Acknowledging all the effort BEXUS represents (not only for its participants, but for the organising entities as well) we could not be more satisfied and grateful to take part in such a journey. It will definetely make a difference in our careers. All in all, we will be reaching for the sky, flying a cloud chamber on a ballon at 30km from the Earth surface. Sounds crazy, doesn’t it? Any help will be held in high regard. Thanks for diving into this adventure.